Between 26 March and 28 March 2018, presidential elections were held in Egypt. Incumbent president Abdel Fattah Al-Sisi secured 97% of the votes, while is only opponent, Moussa Mostafa Moussa, received even less votes than the number of invalid ballots. The electoral campaign was characterized by widespread repression of the opposition, independent media and (Human Rights) activists. 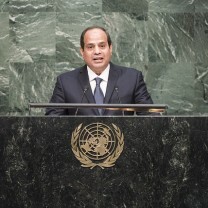 Egypt maintains a zero-tolerance policy towards dissents. With a continuous state of emergency, most opposition against the regime has been labeled as “terrorism”. Under the rule of Sisi, Egypt has turned into a state with authoritarian rule. After the 2011 revolution, which ended the repressive thirty year regime of Hosni Mubarak, there was a short experiment with democracy. The first free presidential and parliamentary elections were organized in 2012. Mohamed Morsi and the FJP (Political branch of the Muslim Brotherhood in Egypt) became the winners. Unrest in the country remained however. A few months later, in November 2012, President Morsi issued a temporary constitutional declaration that in effect gave him unlimited powers, which led to the outburst of mass protests. In July 2013 Morsi was removed from office by a coup d'état led by the army under General Sisi. In 2014 the general was elected president. Want to get notified by mail when Egypt gets updated? Former head of the Egyptian Armed Forces, Minister of Defence Abdul Fatah al-Sisi was born on 19 November, 1954 in Cairo. He graduated from the Egyptian military academy in 1977 and continued training in the United Kingdom, Egypt and the United States. Under Mubarak’s regime Al-Sisi served as a military attaché in Saudi Arabia. In August 2012 Al-Sisi was appointed as head of the Egyptian Armed Forces and as Minister of Defence by Morsi. Despite some accusations of being too close to the Muslim Brotherhood he presented himself and the army as “guardians of the people’s will”, following nationwide protests in June 2013. He played a leading role in the military coup of July 2013, which ousted Morsi when he did not meet up to the army’s ultimatum to the government and its opponents to resolve the country’s crisis within 48 hours. Al-Sisi remained on his post as Defence Minister in the interim government, but in early 2014 he resigned from his post in order to run for president. He was elected president in June 2014, after it was announced that 96.91% of the votes were in his favour. Mostafa Madbouli was born in 1966 and graduated from Cairo University's Faculty of Engineering, turning to pursue a master's degree in urban planning from Cairo University in 1992. After finishing his Ph.D. in Germany on urban planning, Madbouli married and now has three children. From 2008 to 2009, Madbouli worked as head of the state-run General Organization for Urban Planning (GOUP), and later served as director of the United Nations' HABITAT Regional Office for Arab States from 2012 until 2014. He was appointed Egyptian Minister of Housing in 2014, and temporarily replaced the then incumbent Prime Minister for a period of two months when the latter required medical treatment abroad. After the controversial presidential elections of March 2018, re-elected President Abdel Fattah al-Sisi appointed Madbouli Prime Minister on June 7th, 2018. In 2014, the former head of the Egyptian Armed Forces, Abdel Fattah al Sisi, was elected president. In order to overcome the mass protests and chaos in the country, al Sisi introduced a roadmap to help the transition of the country. One of the most important steps of the roadmap was the introduction of a new constitution, drafted by a 50-member committee. The constitution was approved by a referendum in January 2014, although serious doubts over the fairness and the political climate during the referendum have been cast. Since 2015, many former Muslim Brotherhood leaders and members have been jailed, sentenced and completely banned from political participation. Journalists have been persecuted on a large scale and media freedom has been restricted. Furthermore, instability in the Sinai provinces has grown, where insurgents are fighting the Egyptian army. As a result Egypt closed the Rafah border crossing with the Palestine Territories. The Tunisian revolution that broke out in December 2010 sparked the Egyptian people to take to the streets as well. Starting from the 25th of January large scale demonstrations were organised in different cities in Egypt calling for an end to President Hosni Mubarak’s three-decade rule. Dissatisfactions over corruption, lack of freedom of speech, economic issues as food price inflation, high unemployment, low wages and the enrichment of the ruling elite were the reasons for the protests. Mubarak repeated he would remain in power until September. Angry that Mubarak did not step down, protests resulted in a nationwide escalation dubbed ‘Farewell Friday’ on the 11th of February. At 16.00 hour the same day the Egyptian Vice-president Omar Suleiman announced in a televised address that President Hosni Mubarak had stepped down and had handed over authority to the Supreme Council of Armed Forces (SCAF), which announced that it would remain in charge of the country until a president would be elected. Around one month after the revolution Egyptian voters overwhelmingly approved a referendum on constitutional changes, which paved the way for new elections. From November 2011-January 2012 the first free parliamentary elections were held in Egypt. The Freedom and Justice Party (FJP), linked to the Muslim Brotherhood, was the big winner. A few month later Mohamed Morsi, leader of the FJP, was announced as the winner, becoming the first democratically elected civilian president. In November 2012, President Morsi issued a temporary constitutional declaration that in effect gave him unlimited powers, which led to the outburst of mass protests. By the end of June 2013 the protests, which were also fueled by the prosecutions of journalists and attacks on non-violent protesters, escalated after opposition parties and millions of protesters urged Morsi to step down. In July 2013 Morsi was removed from office by a coup d'état led by the army under General Abdel Fattah al-Sisi. The Muslim Brotherhood protested against the military coup, but these protests were crushed in the August 2013 massacre in Rabaa in which at least 817 civilians were killed. Since his overthrow, Egyptian prosecutors have charged Morsi with various crimes and sought the death penalty, a move denounced by Amnesty International as "a charade based on null and void procedures". The constitution of 2014 abolished the old Shura Council (Upper House), while the old People’s Assembly (Lower House) was replaced by the House of Representatives. In total 596 MPs are elected in two rounds. 120 of them are elected through coalition based lists. Their election is based on a ‘winner takes all’ system, that awards all the seats to one party if they surpass 50 percent of the votes. Furthermore, 448 independent candidates are elected, some of them backed by political parties. The final 28 MPs are appointed by the President. The MPs are elected from 205 districts. The coalition based lists have quota for Christians and women. Of those appointed by the President, 14 have to be women and all have to be independent from political factions. In January 2014 Egyptians voted for the first time since Morsi’s ouster in a referendum on a new constitution, which replaced the constitution passed under Morsi. It was drafted by a 50-member committee including only two representatives of Islamist parties. The Muslim Brotherhood was not represented. Therefore, an Islamist coalition led by the Muslim Brotherhood called for a boycott and “civilized peaceful protests” during the two-day referendum. Many of Egypt’s secular opposition joined the protests against the government and the new charter. On the first day of voting, nine people were killed in clashes between security forces and those who opposed the new constitutional amendments. On 18 January 2014, the Supreme Electoral Committee announced that 98.1 percent of Egyptians voting in the referendum approved the amended national charter, with a turnout rate of 38.6 percent. The new constitution will boost military powers, allowing the army to appoint a defense minister for the next eight years. It also allows civilians to be tried before military courts. It also stipulates that the military's budget will be beyond civilian oversight. Critics said the new constitution will strengthen state institutions that defied Morsi: the military, the police and the judiciary at the expense of the people. US-based Democracy International (DI), the largest international organization that monitored the referendum, expressed “serious concerns” about the political climate, which virtually guaranteed a Yes vote. “There was no real opportunity for those opposed to the government’s roadmap or the proposed constitution to dissent,” the statement noted, citing “a backdrop of arrests and detention of dissenting voices”. The previous referendum dates back to 19 March 2011, one month after the revolution. Between 18 October and 22 November 2015, elections for the House of Representatives were held in Egypt in two rounds. These were the first elections after the 2014 constitution. 5420 independent candidates and 600 party-based candidates representing 84 parties ran in the elections. Political parties formed coalitions in order to yield as many candidates as possible on the party-based lists, including the Al-Sisi loyalist ‘For The Love Of Egypt’ coalition, that was the only coalition to run in all constituencies. In the first round, held between 18 to 19 October, voter turnout was 26.56 percent. For The Love Of Egypt managed to win all 60 party-based seats, while only 4 independent candidates were elected directly. During the run-offs for the first round on 27 and 28 October the other independent candidates were elected, most of whom were backed by political parties. Candidates backed by the liberal Free Egyptians Party won 41 seats, candidates backed by the pro-regime the Nation’s Future party won 26 seats, candidates backed by the liberal Wafd Party won 16 seats and candidates backed by the Salafist Nour Party won 8 seats. 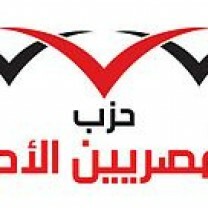 Candidates backed by the Egyptian Social Democratic Party managed to gain 3 seats. Of the 284 seats elected in the first round, a record of 32 seats was secured by the 110 women running in the first round and 16 seats by Copts. In the second round, held between 22 and 23 November, voter turnout was slightly higher with 29.83 percent. The For the Love of Egypt again managed to win all the party-based seats, gaining 120 seats in parliament in total. Only 9 independent candidates managed to be elected directly, while the remaining MPs were elected in the run-offs. After the run-off, the Free Egyptians party backed candidates won 24 seats, candidates backed by the Future of the homeland party won 17 seats, candidates backed by the Wafd party won 16 seats and candidates backed by the Nour party won 3 seats. In total, women secured 87 seats in the 596 member parliament (6.8 percent), of which 56 were elected on party-based lists, 17 ran as independent candidates, and 14 were appointed by the president. This marks a historic high number of women in parliament. Dozens of violations were reported during the campaigning and election day, mainly bribery. Various observer missions observed the elections, including the international-local Maat foundation. According to their spokesperson violations were reported in both rounds but “candidates were well prepared for the second round; they avoided repeating the mistakes of the first round, and used creative methods of bribery”. The Journalists against Torture Observatory (JATO) said they reported 104 cases of violations against journalists during the second round of elections. The most violations consisted of preventing journalists to properly cover the elections. During the election period a local Nour candidate was shot in North Sinai. After the killing five candidates withdrew from the elections in North Sinai. There were more reports of violence being used against Nour candidates, as well as reports of intimidation of Copts. Overall, the rate of violence during the elections was in line with the level of violence during the rest of the year. Between 26 and 28 March 2018, Egyptian voters could cast their ballots for the presidential elections. The Egyptians had to choose between two candidates: Former field marshal and incumbent President Al-Sisi –and ‘puppet’ candidate Moussa Mostafa Moussa. Leading up to the elections, the regime was hoping for a high voter turnout. State controlled media pressured people to go to the polls. Even stating that voters who would vote would be rewarded, while those who decline would be fined. Al-Sisi gained 97.08 percent of the votes, while his only opponent, Moussa Mostafa Moussa, received 2.92 percent of the votes. This was in fact less votes than the number of invalid ballots (around 7%). The voter turnout was 41.05 percent. The campaign was marked by large scale repression of political opponents, activists and journalists. Former Prime Minister Ahmed Shafik, Human rights activists Khaled Ali and Anwar Essmat Sadat, nephew of late President Anwar Sadat, claimed to be pressured by agents of the National Security Agency to step out of the race. General Sami Anan and Colonel Ahmed Konsowa were both arrested after the showed their intent to run. In this hostile environment several activists and journalists were arrested for “undermining the electoral process’’. Abdul Moneim Aboul Fotouh, a leading figure in the Strong Egypt Party (SEP), called for the boycott of the election, citing the undemocratic nature of the process. The authorities arrested several leading members of the SEP in reaction to this boycott. Journalists writing critical pieces related to these developments were harassed or arrested. The Egyptian Social Democratic Party was founded shortly after the overthrow of Hosni Mubarak by the merger of two minor parties, the Egyptian Democratic Party and the Liberal Egyptian Party. The party straddles a fine line between free enterprise and social justice. It advocates a civil state based on citizenship and social and economic rights are important issues. In the 2015 elections ESDP did not participate in any of the coalitions but backed independent candidates. Ahead of the elections the founder of the party, Mohammed Abou El-Ghar, resigned from his position as Secretary General, citing a split in the group. The Nation’s Future Party was founded in 2014 and first participated in the 2015 elections. Nation’s Future has been supportive of the government and its leader Badran is considered a close ally of President Al-Sisi. Among the political parties, Nation’s Future is considered a youth party as it attracts young voters and has a young leadership. Before its foundation, members of Nation’s Future campaigned across the country to promote Al-Sisi’s transition road map and later on also Al-Sisi’s candidacy for the presidency. In its spread across the country it has been able to capitalize on student unions. The party has expressed that defending the interest of the nation and state is their priority and that they do not feel aligned with any political ideology. In the 2015 elections the party wielded both independent candidates, as well as some candidates on the list of ‘For the Future of the Nation’. The New Wafd Party, also known as the Al-Wafd party, created in 1978, is essentially a continuation of the pre-1952 Wafd Party. It is a liberal capitalist party that calls for public freedoms and a maximum reduction of the economic role of the state. It encourages Arab and foreign investment, the liberalisation of foreign trade and the exchange rates, and privatisation of certain parts of the public sector. Most of the Wafd economic ideas had been taken over by the former NDP. On the issue of political freedom and democratic reform, however, the Wafd is much more liberal than the NDP used to be. 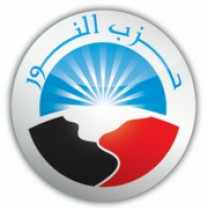 The Al-Wafd is often regarded as a strong opposition party. This is due to the legitimacy of the old Wafd, the possession of greater financial resources than other parties, and the several offices throughout the country. In the 2015 elections Wafd had the third most elected candidates, supporting both independent candidates as well as ten Wafd candidates on the list of ‘For the love of Egypt’. Al-Nour is a Salafi political party founded after the January 2011 uprising. Salafism is an orthodox branch of Islam which sees the first generations of the followers of the prophet Muhammad as examples for how all aspects of life should be organized. The party advocates gradual reform under the slogan: “The only reform we desire is the reform we can achieve.” This slogan is based on a view of the principles of Islam as a comprehensive framework for religion and state. In the 2015 elections Nour was the only Islamist party, yielding both individual candidates as well as participating on one party list in the West Nile Delta constituency. The Conference Party was founded in 2012 bij Amr Moussa, former secretary-general of the Arab League, and is a merger between a great number of parties including the Democratic Front Party and offshoots of the National Democratic party. The party is seen as moderate and secularist. The Conservative Party was founded after the January 25 Revolution and gained 6 seats in the parliamentary elections of 2015. The party has a conservative liberal ideology. 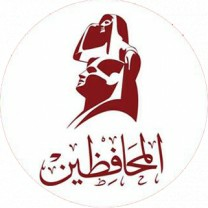 "A Party working for all Egyptians" is the party's slogan. Leader Akmal Kertam is a former leading member of the National Democratic Party (NDP), the party of former President Mubarak. Kertam resigned from parliament in November 2016, voicing criticism on the parliamentary bloc Support Egypt and the proccess of committee chair elections. The Homeland Defenders Party won 12 seats in the 2015 parliamentary elections. The small Democratic Peace Party has a largely secular and liberal identity. They won five seats in the 2015 parliamentary elections. The Tagammu’ Party, or the Nationalist Progressive Unionist Party, was created in 1976 out of the left wing of the Arab Socialist Union. 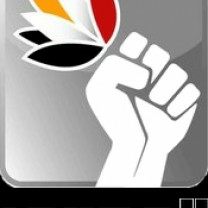 It is a leftist party which calls for the establishment of a socialist society free of exploitation. It believes in a class struggle that should be resolved peacefully and bases its programme upon the goals of the 1952 revolution. The most important goals are rejecting religious extremism, building the character of the Egyptian citizens, ending the state monopoly over the media, raising awareness of environmental issues, and developing Egyptian industries. While the party once enjoyed strong support from the working class, professional unions, universities and intellectuals, its influence among these groups has since waned. It gained two seats in the parliamentary elections of 2015. Egypt extends state of emergency: what does it mean?